Single and multi-lip structures. Combined materials of PTFE, PP and kinds of retaining rings. Suitable for combined sealing in axial rotation and reciprocating motion. It can also seal dust under different pressure, rotational speed and in all kinds of hydraulic oil. Zhejiang Shangyu Oil Seal Co.,Ltd is a leading China high pressure oil seal manufacturer and supplier, our high pressure oil seal factory can provide customoers cheap high pressure oil seal products. 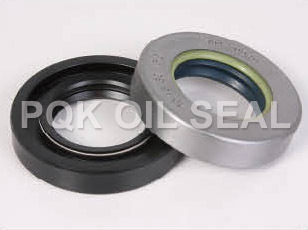 Welcome to buy discount high pressure oil seal or wholesale products from us.